Life is a journey with several twists and turns which eventually make you a better person. 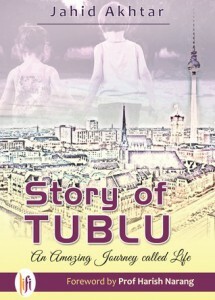 Such is the story of a young lad, Tublu who goes through several phases of experiencing and reacting. Like all, he moved through life, through juvenescence to adulthood. 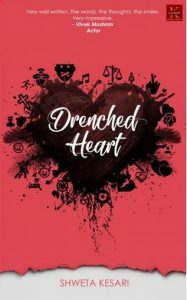 The author’s debut book is a detailed account of life that covers all the stages in which the protagonist’s life is filled with dreams, passion, attachment, despondency, reflections, adoration, flashbacks and much more. 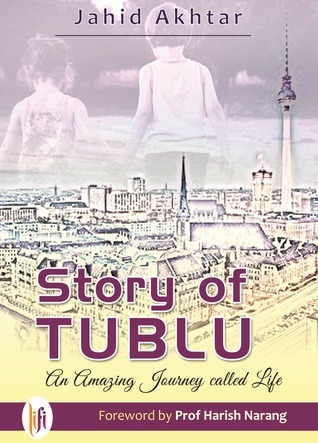 An environmental catastrophe forced Tublu and his father to find somewhere else to live. In the midst of their struggles, the book presents you a kind family, Sharmas. Tublu and his father were deeply moved by their obliging response and both the families embarked on a new journey of trust and bonding. Moreover, it succeeded in sowing the seeds of love in the womb of Tublu’s heart for Maina(Sharma’s only daughter.) With such simple beginning in the late eighties in Assam, the story has different shades of life which eventually come to an end in Berlin. Several characters in the book are well portrayed. Apart from the protagonist Tublu, I found Shilpa’s character to be quite powerful and pleasant. Each character has its own significance in the story. An easy plot with very simple language complements the story. However, I felt a lack of interesting dialogues which consequently made it mundane at certain places. The blurb goes well with the story. I liked the simplicity of the story as it comprises quotidian situations which are illustrated greatly. There is a consistency which keeps you glued till the finale. The cover seemed attractive to me. Furthermore, I felt that the title could have been more appealing. According to me, the foreword initially mentioned in the book can definitely lose the reader’s interest. Therefore, the climax of the story has no surprise element and is predictable. 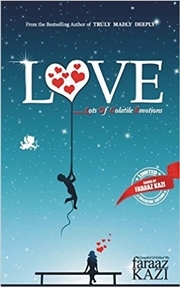 The book not only concentrates on the basic theme of love but, the author’s narration also includes other emotions. There were certain portions to which I could relate. Such as the anecdotes of the engineering college, ebullience of students and the significance of family and friends in life. All in all, it is a simple, light and fast read. 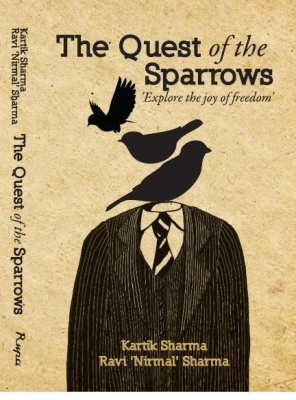 “The Quest of the Sparrows” by Kartik Sharma and Ravi Nirmal Sharma is a story which depicts the spiritual journey of a common young man, Partiban. It basically revolves around the paramount aspect of life which is related to non material values. The story constitutes of divergent encouraging elements which as a whole make it a gripping tale. As the front cover says ‘explore the joy of freedom’.. the book is all about searching a real self. Moreover, the book title suggests, that the story is inspired by the peaceful and free life of a sparrow. The book deals with the life of a man, Partiban, a reluctant guru. He begins an interesting journey which is filled with several ups and downs. According to Partiban, this spiritual expedition of 600 kilometers on foot to Ganpatipule in Ratnagiri was a practical spirituality workshop to achieve one’s true potential. He sets out this trip in order to make his followers realize that survival isn’t the goal of life. A much significant contribution still awaits us, which is related to holy beliefs and ideas. The group of followers is composed of several distinct types of people who were going through some or the other wretched conditions of life. As Swami Partiban and his disciples didn’t carry any sort of money or belongings with them in the journey, the story contains different anecdotes of how they manage their stuff and try to sustain in this trek. The book also takes you to the past of Partiban’s life where he was bewildered about certain situations and how he comprehends some amazing lessons of life through his father. 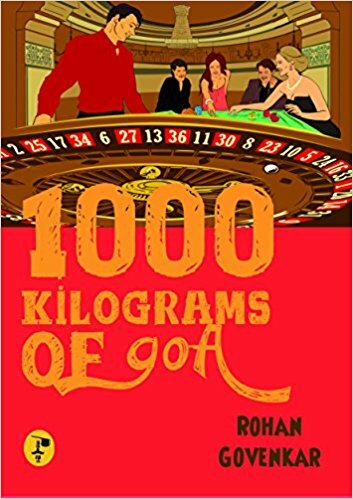 Also, the book consists of an important character, Shruti ( Partiban’s girlfriend), daughter of a rich industrialist, but he couldn’t marry her because of his financial crisis. The story basically reveals the concepts of joy, peace and freedom via several characters that are represented in the book. As you gradually get involved in the story, it will raise numerous questions in your mind. Will guru Partiban and his followers complete the journey? Will they reach to their destination? Or will they give up in the middle of this spiritual test? Will they perceive the true meaning of life and their existence? 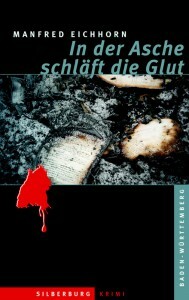 The cover picture of the book is noticeable and of course the title perfectly suits the story. The thoughts expressed in the story are certainly deep which also shows author’s great intellect and research. It is a simple tale but very effective. The insights of life mentioned in the book can change one’s perspective of looking at things. The book is capable of lifting you up and can absolutely swing your mood. I liked the author’s writing style as he presented some of the supreme notions of life without much preaching. The book in a way answered many questions that were constantly going in my mind while reading. Besides narrating about the carefree life of sparrows, the author has discussed about self evolution, meditation and the importance of connection to divine. This is a highly recommended book especially for those who are keen to find answers of their inner requirements or want to explore a fully different viewpoint of life. 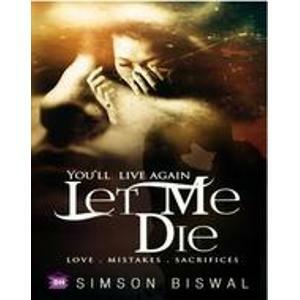 “You’ll Live Again Let Me Die” by Simson Biswal, the founder of Dream House Publications, is a harrowing story of a young lad. The book depicts the intricate and tangled life of a boy. The typical prospects related to a youngster life such as love, friendship, heartbreaks, dreams, mistakes, and despair are illustrated in the book. As the front cover says that it is a tale which consists of three supreme elements-love, mistake and sacrifice. The story commence with a typical conversation between some friends. In the due course their discussion shifted to love topics. Further, everyone expressed their views on people who commit suicide because of heartbreaks and discontent. According to them, these people have sick mentality and they are weak hearted. But one of the friend disagrees from this point and in his opinion, sometimes situations force someone to end his/her life and no one ever does it for fun. And then the story of a 20 years old, Robin Das begins.. This is a story of a passionate and ambitious mind, Robin Das. He belongs to a middleclass family and so evidently he has been referred as a 20 years old ‘common Indian’ in the book. But there is an another major reason of stating him as common i.e. due to his dreams and strong desires. The dream to achieve something significant and the urge to reach somewhere makes him slightly different from others. In order to attain his objectives he moved to an other city for pursuing electrical engineering. The entire story revolves around him, his friends and his love. The plot consists of some vivid characters such as Chetan and IAS, robin’s friends, also Kriti and Ashama play an essential role in the story. Right from the very first day of college robin’s friendship with IAS and Chetan has grown along with him. Besides sharing the room, they shared everything: every idea, every worry, every burden, the smiles, wiped each others tears and supported each other in tough times. The story illustrates that how Robin fall for a girl, Kriti. His first love changed his life, it was a fresh beginning with happiness filled in their hearts, a new promise which brought new hopes and expectations. But life played its own truants. His breakup with Kriti left him crashed to the ground in agony and distress. The book deals with how Robin learnt lessons from his failed love and heartbreak. It is interesting to find out that what happens when life gives him a second chance by starting all over again. The second half of the story depicts that how destiny determined his decisions of life when he meets his love again. The author put forwarded the prevailing situations of life in the story. Each side of love is portrayed in a fine manner in the book. Either it is the essence of first love, the grief and sorrow that one experiences during love or the misapprehension between partners. The title is perfectly appropriate for the story. One can certainly guess the theme on which the entire tale is based. Also, the cover page of the book represents the subject matter. The story is laced with multitude of emotions and constituents which makes it more captivating and intense. The story is basically divided in two halves. The first half delineates the bond of friendship, the feelings of affection and care, and the contentment in living a life for your loved ones. While, the second half describes about the harsh realities of life, betrayal by your love, lessons which life teaches you in torment and desperation & the reemergence of love. The second part is preferable to the first part. As the second half raises multiple questions in the mind of readers. It was a fast read for me. I liked the scenes and events which take place in an engineering college. A good storyline with some different segments in it. The end of the story is totally unpredictable and will leave you open-mouthed. I felt that the blurb of the book could be much better. Besides this, in some portions there are few grammatical and editing errors which could be the reason for lack of interest of readers. The twists and turns which occur in Robin’s life are capable of holding one’s attention. As you will be linked to the story, it will add up to your curiosity. Robin, the protagonist of the story is absolutely powerful and eventually he did what was right in the climax of the story. 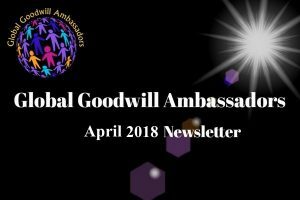 A belief in the basic goodness of mankind is portrayed in the book. Those who exclusively like love stories, this one is a definite book for you guys. “Operation Mom – How I got my mother a life … and a man” by Reenita Malhotra Hora is an entertaining story about a juvenile girl, Ila Isham who makes her mind to fix her mother’s life . The book is all about the fascinating ride of a daughter who is fanatical about her mom’s life, which is portrayed in an extremely reviting way. As the back cover says ‘ When you try to set your mom’s life right, be prepared to have your own turned upside down’. The story presents you a seventeen years old Punjabi girl , Ila Isham who wants to become Ali Zafar’s groupie. She is overwhelmingly passionate about Ali Zafar, a pop singer . Her mom , Veena Isham is a freelance journalist, who at all times remains occupied with her work. Ila’s life is indeed very complicated as she has some major issues. One of them certainly involves that her parents have been separated. Like any other kid of her age she was disturbed and distressed about their split. She is anxious about her mom’s disordered life. 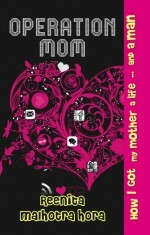 So, she settles on a plan of action, ‘Operation Mom’ in order to bring some sort of exhilaration in her mum’s life. Through social networking sites like lagan.com and OKCupid.com, she sets up a perfect profile on these dating sites to find a quintessential gentleman for her mother. The story also involves some other interesting characters. Such as her best friend Deepali, a sharp-witted and stylish chic, who has her own way of handling three dates at a time. Also, Aunty Maleeka, her mom’s best friend, whose outlandish ideas lead to chaotic situations. Dev, one of Deepali’s date also helps Ila to accomplish her mission ‘Operation Mom’. The story depicts that how a daughter’s life gets influenced while making her mother’s life exciting and kicky. Ila’s life takes an unanticipated turn during her arduous journey in the search of a perfect date for her mother. She gets to meet some freakish and weird middle aged men, who add more troubles in her task to redirect her mom’s focus on her romantic life. As you gradually get involved in the story, it will raise numerous questions in your mind. Will Ila be able to find a perfect match for her mother? Or is she able to settle down the differences between her parents? Eventually, will her mother get to know about her plan? How Ila’s life gets spiced up while executing her plan? And so on. But the end of the story will leave you in amazement. An enthralling and tangled tale of Ila, will surely make you laugh and adds up to your curiosity to find out what happens next. The author tinged the story with elements of humor, emotions, suspense and puzzles which makes the story more entertaining and enjoyable. The plot of the story consists of fascinating characters who completely add a terrific effect to an awesome storyline. The witty remarks in the story are captivating. The kind of words and sentences used in the book distinctly shows author’s great intellect and brilliance. The sarcastic conversations between Ila and her mother were thoroughly hilarious. The book represents a beautiful and the most precious relationship of a mother and daughter. I loved the way how author added segments of emotions and feelings in the story. Huge chunks of typical Indian family make this book interesting. For me, it was a totally refreshing and light read. My experience with the book was super fantastic. 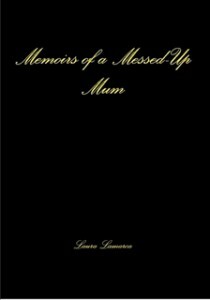 I simply loved the way how Ila makes all possible efforts to fix up her mum’s life. In spite of every obstacle she faced during her operation, she remained determined to search a perfect life-partner for her mother. She didn’t give up or lose hope and continued with her plan. In such an age, she makes an attempt to settle her mother, is undoubtedly commendable and inspiring. This is a book that you will simply enjoy, which will definitely put a smile on your face after turning each page. As you get connected with the story, you will find it completely delightful and thrilling. A highly recommended book for everyone out there, especially for all the energetic teens. 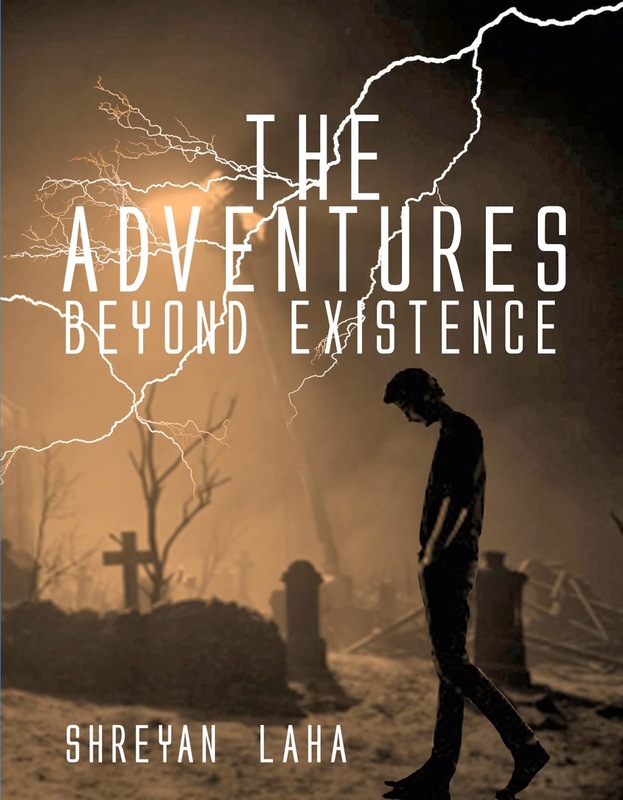 “The Adventures Beyond Existence” by Shreyan Laha, his debut novel, is a paranormal romance. The book is a peculiar yet a fascinating story about a young lad named Shlok. The story is all about Shlok’s quest for something significant. It is a different story with some unfamiliar elements in it. As the name suggests, that it is a story which deals with perplexing experiences related to Shlok’s life. The events which take place in the book are beyond the normal existence. They signify the paranormal happenings which go around Shlok’s life. The story begins with anxiety and trepidation, a strange situation in which two friends, Pratik and Dinesh visit a graveyard. There they encounter an old watchman and suddenly the next day he dies. Apparently, the officers of law suspect Dinesh. Eventually they both meet a saint who then narrates the entire story of the Sinner old man at the temple. According to him, some of their remains still exists. The saint evidently states the reason for watchman’s death. The tale described by the saint includes the legend of Saptraj. It includes several characters which comprise of the king, Anant and Roshni, the former queen of Saptraj empire who’s born again. Also the warriors and spirits are involved in the story. The book deals with the Shlok’s venture where he is supposed to annihilate the kingdom since he gets confined and can’t go back. The story portrays that how in his mission he faces dangers, fears, and some terrifying incidents. But he decides to confront the consequences and accomplish his mission. And during his journey Roshni and other people help him to cross numerous barriers which came along his way. The readers have various questions while reading the book. Will Shlok manages to succeed in his task? Why Roshni helped him? Why Shlok is determined to eradicate the kingdom in spite of so many perils involved? Did Shlok suffer from horrific hallucinations? Did he mange to return into the real world? Ultimately the book answers all your questions which make this story quite interesting. The author brings out a totally different plot for readers. As a matter of fact, the book depicts some captivating events. The figment of imagery used by the author in the story is absolutely extraordinary. The book is tinged with the flavors of suspense, agitation, romance, action and bravery. The title is perfectly apt for the book. Truly, it is a tale which is filled with struggles, uncertainty of life, hazards, risks, and mysteries. The author’s style of writing is simple yet effective. The supernatural and mystical element in the book enhanced the story. The book undoubtedly reflects a fine illustration of courage, power and commitment. Shlok, the protagonist of the story, faced countless threats in a very heroic way. Initially he was broken-hearted and shattered but in the due course he transforms into a fearless and confident man. He was ready to overcome any sort of danger that crossed his way. The escapade of Shlok entirely changed his life. In fact I felt that he got to assimilate some significant realities of life. The wonderful words and expressions used by the author can actually make you visualize the scenes and instances. For me, it was a fascinating read. I liked the certain constituents of story such as the puzzles, apprehension along with strands of emotions, which made the book very absorbing. While reading the book, I was completely engrossed and stunned by the way how Shlok accepted every challenge that he encounters on his adventure. The audacity and heroism of Shlok impressed me. After turning each page, I was more keen and curious to find out what actually happened to Shlok. Especially people who love such thrilling and intriguing stories, this one is worth a read for you guys. 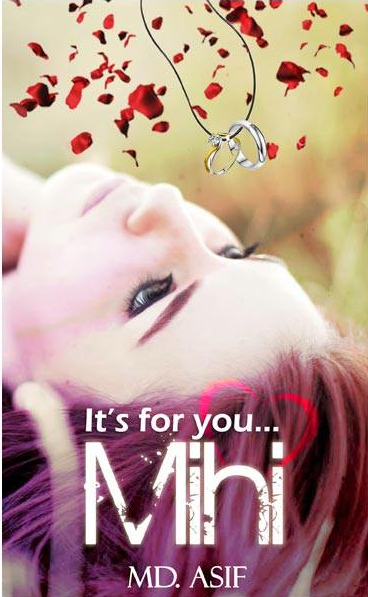 “Its For You…Mihi” by MD Asif is an amazing piece of literature which depicts the intensity of true love. 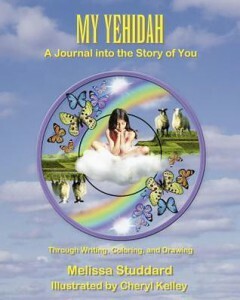 This book is dedicated and devoted to all the caring and loving souls. The delight, the ecstasy, and the pain which one feels in love is been portrayed by the author in the book. 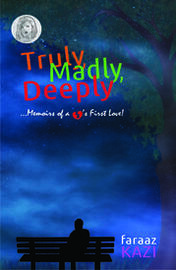 As the blurb of the book depicts that it is basically a beautiful love story of two loving hearts, Asif and Mihika. The book commence as we make out that Asif goes for a venture. He wishes to meet Mihika. While he was heading to Calcutta , Asif narrates his wondrous love tale to a train passenger, Arjit. In short span of time they both become fond of each other and share their stories. They discuss about their loved ones and speak out the untold story of their hearts. The book takes us to the glimpses of past i.e. to Asif’s school days. As it is said that friends are the flowers in the garden of life. So, The story also includes Asif’s best friends since childhood. They are Sameer, Manik, and Nalin. The flashback clearly depicts the immense love of Asif and Mihika towards each other. In the book, Asif described his love for Mihika form the very first day of his school days which is able to please the senses or mind aesthetically. Gradually, they both were divinely, drunkenly and serenely in love with each other. The foremost part of the story throws enormous questions to readers. Why Asif was going to Mihika? What were the reasons of his hurry to make his way to Calcutta at any cost? Does he finally meet his love, Mihika? Do they both come together? Or has he lost his love forever? Is this a tale of long lost love? And many more. The end clearly answers all your questions. The book certainly represents the true love which is the soul’s recognition of it’s counterpart in another. 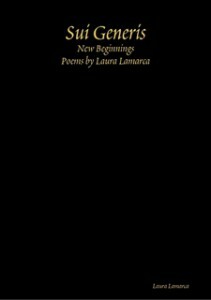 Several poems and phrases are also used in the book which are fetching and captivating. The author described his feelings and sentiments in a very enthralling manner. Each and every moment spent by Asif and Mihika is heart warming and affecting for readers. The story is tinged with the common elements of life such as love, friendship, family which are associated to all possible individuals out there. The author brings out the quotidian situations of real life in a noticeable way. All the emotions linked to love, affection, care, intimacy, friendliness, compassion, pain, agony, concern are lucidly shown in the book. The author’s writing style is simply amazing. For me, it was undoubtedly a fascinating and an interesting read. I feel that inspite of the fact that this is author’s first book, he did an outstanding job. Even the minute details of the plot given by the author, is praiseworthy. This book for sure can able to hold one’s attention and even can make people understand the real meaning and interpretation of love. The gravity and deepness of commitment, loyalty, dedication and devotion in a relationship is distinctly presented in the story. The value and significance of deep affection and love is illustrated by the author. One can verily be engrossed with the flow of the story. According to me, though the storyline was simple but the way how the author represented it through his eloquent words is indeed very remarkable. The choice of words, sentences, expressions is excellent. The readers feel connected and can relate themselves to every single emotion of Asif and Mihika’s story. Besides that, I find the front cover of the book is very appealing. For me, at the first sight it grabbed my attention towards it. The picture of two bright, lustrous, gleaming and shiny rings is brilliant. Overall, the book is worth a read. For all romantic folks out there, this is a must read for you all. People who enjoy romantic tales woven with strands of poetic prose, this is a book for you. I feel your presence in air. The pair as us is very rare. I blush to know you are there. There is no one with whom I can compare. You are the beauty of this universe I declare. 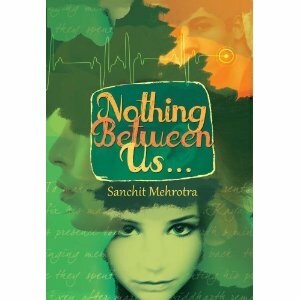 With The feelings to lose you I scare..
I’ll simply die, if I lose, beware..
My love in only you, I swear..
“Nothing between us” by Sanchit Mehrotra is a beautiful narrated love story. The book deals with the story of Siddharth, Avantika and Kaya, the chief protagonists of the story . The story depicts the deepness of true love. A tale laced with divergent emotions of a man’s life. At the start, the story presents a huge catastrophe in Siddharth’s life. And subsequently the story takes you in a series of flashbacks. The book introduces Avantika as Siddharth’s best friend since childhood, sharing each other’s secrets and enjoying each others company. Besides that, both their families shared a great friendship and togetherness. The book depicts that how these two fall for each other and confess their true feelings to one another. Eventually their friendship turns into love. The beauty that their relationship brings into there lives is beyond description. Their heart holds new hopes, dreams, and desires. As they spend more time with each other, they plan for their future and decide to grow old with each other. In due course, they get engaged. Happiness is filled in their hearts. But soon, sadness and grief sneaked into their lives. The story takes an very unexpected turn. Life plays its own truants. Their too many hopes turned into too many disappointments and agony. The tragedy left both families in torment. Siddharth couldn’t accept and comprehend the fact. He was unable to move on in his life. He was totally depressed, downhearted and shattered. In this distressing phase of his life, he met Kaya, who was the daughter of one of his clients. Eventually, she too fell in love with Siddharth and dream and plans of her future with him. Fate decided the course for him. Even being with Kaya, his past memories continued to haunt him. Physically, he was present but mentally he was not. He desperately tries to ameliorate his relationship with Kaya. He fights hard to sort out his inner suspicion and uncertainity. The book depicts that how he exerts himself to accept Kaya by doing multifarious activities. The end is entirely unpredictable and interesting. It will answer all your queries and doubts that whether Siddharth succeeds in his attempt to construct an improved relationship with Kaya or not! This book represents the intensity and gravity of love. The way how Avantika and Siddharth were deeply, divinely and drunkenly in love with each other was captivating. The author’s style of writing is completely amazing. This book has plethora of emotions plunged to it. The story is woven with humor, sorrow, delight and satisfaction. The characters in the story are charming and interesting. Besides that, it is not a typical love story, but it is certainly one of the most uncommon love story you will ever read. The author portrayed each emotion in the book , with clarity and precision. For me, it was a fascinating read. I thoroughly enjoyed each and every moment of the story. Even the pain which Siddharth felt after losing his love, was very absorbing and mesmerizing. This book was able to hold my attention till the end. It made me realize that the most valuable gift you can recieve from your love is an honest and an extraordinary friend. The climax or the twist of the story was absolutely unforeseeable. It led me into an extreme shock. From the opening till the end there was nothing that could divert me or dishearten me. The book revealed an another side of love which is not so pleasant but very effectual. Honestly, I am not fond of love stories but this one made my day! 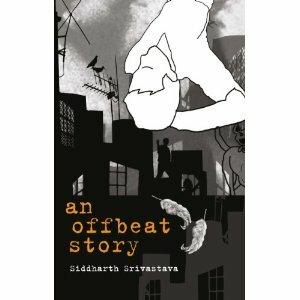 “An Offbeat Story” by Siddharth Srivastava , who is a successful independent journalist, is a riveting account of a young lad, the protagonist of the story. The book depicts the evolutions and transformations that take place in the life of this young boy which turned him into a man, then followed by a full grown adult. As the blurb says this book contains 16 chapters which deals with various situations & set of circumstances in the life of a youngster. The story represents the journey of the protagonist who experiences several things in his life. In his young days, his father who was an IPS officer, also wanted his son to crack the IAS exam. But, the boy was disinterested in the IAS. His family comprises of his mother who always understands him and tried to motivate him and his younger brother who at all times excelled in studies. 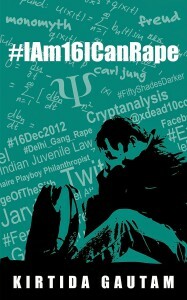 The story involves his city girlfriend Pooja who was preparing for the IAS exam,wanted him to clear the exam as well. Later, he drifted into journalism. His love life takes many twists & turns. During the journalist rounds, he met Sushmita who was a smart & a grounded lady. She was married. It is interesting to read about how their life changed. He also met Lata who was the daughter of his father batch-mate from Punjab. Later, the story deals with how he was pressurized by his parents for marriage. His life was destined to be complicated. Fate decided his course for him. Finally he gets married. He moves from adolescence to adulthood. The story depicts the kind of compromises he made for his wife and the people he met, after his marriage. The author described about the highs & lows that he faced in his life. Gradually he became independent & prosperous in his life. His life again took an unpredictable turn when he met Seema. The story then deals with how he turned into a responsible , mature & a fully fledged individual in his life. His journey of life was greatly influenced by the ideas & opinions of numerous people that were associated with his life such as his family, his lovers, his wife, married lover, & his kids. The author has put forward the journey of one’s life in a very entertaining manner. The book illustrated the kind of situations that a young fellow overcomes which influenced his life professionally and personally. Apart from this, the author also discussed about several current burning issues of the society. For instance politics, the country’s transition, social & cultural transformations & alterations, modernization, the stereotypes existing in our community & many more. The growth & development of an individual in the story is portrayed by the author in a very remarkable way. The book represented the realities of life, the unpredictability of life, & the kind of patience & forbearance that one need to have in certain situations. The author’s style of writing is bold & striking. It was an entertaining & interesting read for me. I thoroughly enjoyed the script which is a mixture of entertainment, reality & humor. I liked the straightforward approach of the author. I felt that the hilarious anecdotes of the book are captivating. Every individual can relate & find himself/herself in the story. The real life situations are described in an exceptional manner. The incidents & the happenings that occur in one’s life professionally and personally are certainly influential for me. Overall, the book is scripted in a very amusing & an intriguing manner. 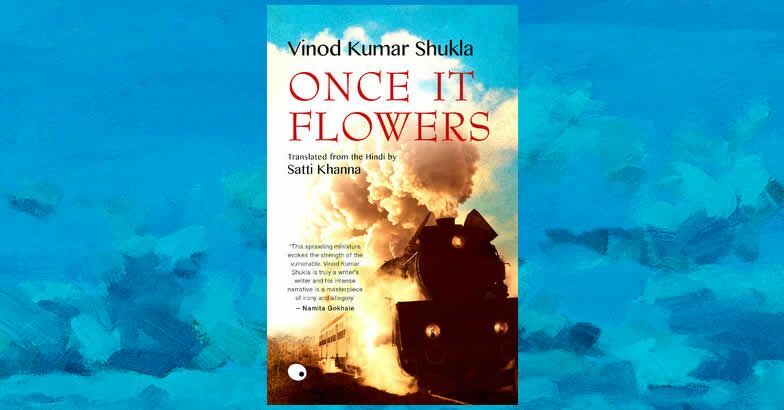 “Once it Flowers” by Vinod Kumar Shukla is a simple story about a village. This book is translated from hindi by Satti Khanna. Vinod Kumar Shukla is known for his simple yet charming style of writing. His works have been awarded & his one of the novel has been made into a movie.This book depicts several incidences & happenings in the life of people who live in this village. The book revolves around the life of Guruji who is a school teacher. His life gets totally changed when a lightening storm blows the roof off a schoolhouse. He, his wife & his children used to live in the school building of the village. After the thunderstorm, Guruji’s family seeks shelter at the substation of the village. The strong wind followed by the rain affected the life of many villagers. The story also includes several other characters . Such as, Jivrakhan & his wife Derahin, watchman, Guruji’s kids munna & munni, the stationmaster, the tea owner at the railway station and the tailor . The Author describes about day to day experiences of the inhabitants of village. Their stories basically deal with the basic needs & the requirements of a human’s life. Such as, food, shelter, family’s necessities , relationships & many more. Each & every chapter in the book reveals simple realities of life. For example, Everflowingness belongs to the clan of time. 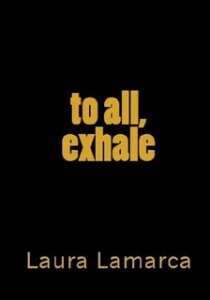 In stillness, there’s continuation. The water that continuously drops down a fall is everflowing. In this village indigence & deprivation were common. The book also describes the difficulties that Guruji’s family faced. Such as, Guruji’s son Munna falls sick if he remains hungry for even a short period of time. His family constantly take care of it & be cautioned and aware of Munna getting unwell. Likewise, Jivrakhan was also an inhabitant of the village who owns a shop. His wife Derahin who enjoys listening radio because nothing else can fill the emptiness & desolation in her life. Later, their life takes many twists & turns. Everything is as real & actual as it is illusionary. The author portrayed the simple lifestyle of the folks in village. 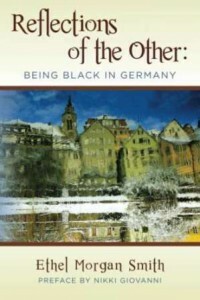 The Author was successful in revealing each & every detail about the places, the situations & conditions of the people. The straightforward & the simple style of writing is praiseworthy. In the book, the author explained about the hardships & challenges that were faced by the people living in village. Their stories clearly represent the way of living of people. The kind of settlement, development, habits, & state of people are evidently illustrated by the author. 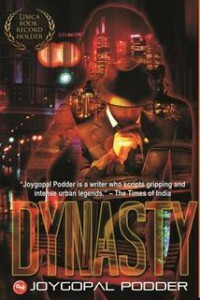 The book is an extraordinary imaginative re-creation of modern India. For me, this was an interesting read. The book holds various characters that were certainly very influential. And through these simple tales, one can grasp the prominent details about sustainability & real life. The way how these village people encountered each & every problem was noteworthy. I liked the way how author has mingle the flavors of emotions & sentiments of the inhabitants of village. The numerous quotes mentioned above each chapter of the book were beautiful & captivating. The figment of imagination has added on to the remarkable storyline of the book. I liked the author’s exceptional style of writing. It was striking & can able to hold the interest of the readers. 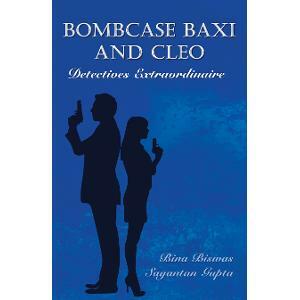 Bombcase Baxi And Cleo by Bina Biswas who is a Professor of english & Sayantan Gupta who is a gynaecologist , is a book based on mysteries & puzzles. As the blurb says that this book is a collection of 8 short stories. These mysteries are eventually solved by two truth seekers named Bombase Baxi & Cleo. ‘Scrap with a silver lining’ is a story of a Mr. Patel who was the managing director of a company that deals with the import & export of scrap metals in Zambia. He approached Mr. Bombcase Baxi who is a truth seeker, when he was hassled because of an unknown frantic call. It depicts that how Mr. Baxi initially saves his daughter Preeti with the help of some ingenious people & finds out the truth related to silver metal. ‘The missing necklace’ is a mysterious story revolves around a missing diamond necklace. Cleo & Mr. Baxi intelligently analysed the unusual situation as the groom’s mother lost her necklace in a family occasion. Eventually both the truth seekers resolves the enigma. ‘The missing Links’ is a story that revolves about an uncertain death of a man named Mr. Roy. When Mrs. Roy approached to Mr. Bombcase Baxi, He visits her place in Darjeeling to find the answer for Mr. Roy’s death. Through interrogating several workers & family members in Mr. Roy’s place, he ultimately detects the real culprit behind this riddle. The next interesting chapter of the book i.e. ‘The Avaricious Ghost’ is a story about a house owned by Mr. P.C. Roy. He had failed to sell this property as it picks up a bad name. The people said it was haunted. Mr. Roy was bewildered. He was shattered because of an ice-cold touch on his brow at night. Seeing this, his daughter calls up to Cleo for help. Cleo after reaching at the house sorts out everything & finds the truth behind this rapacious ghost. ‘The king Cobra’ is a story related to a strange death of a renowned archaeologist, Professor S.K. Samanta by a snake bite. Mr. Baxi reaches Nepal after being approached by Professor Samanta’s son. His son suspects homicide. With the help of the local police, other archaeologists & locals, Mr. Baxi reveals the truth pertaining to this peculiar death. ‘On the Double’ is a unusual story about Mr. Pokhraj Surana who decides to gift a diamond necklace to his wife. But when he reaches at the jewellery shop for the final payment ,he finds that the necklace is fake. Mr. Surana realizes that someone has been impersonating his wife & she is the one who managed to purloin the real necklace. Cleo comes up to solve the mystery when she was been called up by Mr. Roy’s daughter, the owner of jewellery shop. She eventually solves the riddle by the support of local police, & interrogating several people & suspects in the case. ‘Where is the Body’ is a story about Mrs. Shalini Kulkarni who comes up in police station to file a report of her husband ,Mr. Rajiv kulkarni being kidnapped. Mr. Deshpande , a police officer who was examining the case considers it to be a homicide case. His friends Bombcase Baxi & Cleo also assist him in this case. Eventually they find out the reality by interrogating various suspects of this case. ‘And Broke His Crown’ is the concluding chapter of the book which deals with story about Gomez who was been accused of murdering Thakur Sahib as Gomez was only the person when Thakur Sahib was killed. Gomez, the gym instructor who had a very special relationship with Malini, the wife of Thakur sahib. Cleo comes up to take the case when Malini called her. She investigates the case & finds out the truth. 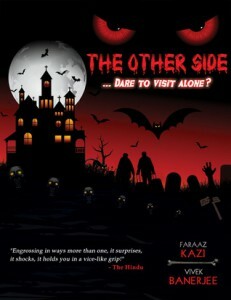 This book is composed of short tales related to puzzles, mysteries & suspense. The author has plot the characters in a very interesting way. 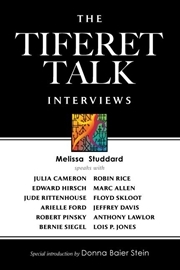 The short tales by the author are narrated in a very simple way, yet the stories are effectual. The book depicts some of the very peculiar homicide mysteries which are written in a very convincing manner. The prime characters of the story i.e. Mr. Bombcase Baxi & Cleo, both were impressive & imposing. The end of all the stories are quite unpredictable. The book is capable to hold the attention of the readers till the end. I felt that this is the book was a light read along with some intrigue. The two truth seekers( Mr. Bombase Baxi & Cleo)had a brilliant intellect, judgement, understanding & sharpness. At some points , I was very inquisitive & fascinated by the story ‘s twist and turns. For me, the book was plethora of adventures & secrets. The way how the two truth seekers were immensely intense to find out the truth was captivating. The author was successful in grabbing my interest. The book is a combination of thriller, suspense, escapades, & enigma. If you enjoy reading such kind of book this is the book for you. If you want a light read, you’ll enjoy author’s style of writing. On the other hand ,if you’re looking for a romantic or a horror suspense , this ain’t the book for you. “Maya” by Vipin Behari Goyal is a book that depicts the story of a juvenile girl named Maya who after reading her mother’s diary travels to India in search of her biological father who was a trantric. This book presents the events & incidents that take place with this young American girl while she was looking for her father. She lands in India when she reads a secret from her mother’s diary which totally startled her. She starts her journey from Pushkar in Rajasthan. She slowly & gradually explores several holy & spiritual places such as Banaras, Kathmandu , Himalayas etc in search of her father. She learns several rituals about Indian culture. She grasps knowledge about Indian philosophy , Hinduism, Indian art, lifestyle, traditions & heritage. Her intuitions & instincts help her to reach to her goal. In her journey, she experiences many troubles & difficulties but she did not give up & continues to explore more and more about her father. 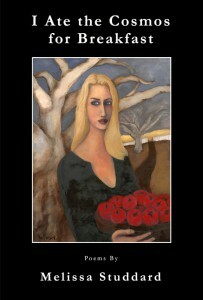 She meets various strangers & outsiders during her journey. Some of them became her good friends & supported her to a great extent. She encountered an ayurveda doctor who guided her throughout the journey , an astrologer , many gurus who imparted her knowledge about tantric & its various elements, a Professor, a Music maestro, and a bureaucrat. Apart from this, she meets several other people in hotels, guest houses etc who helped her in some or the other way. She learns about anthropology i.e. study of humankind & psychological aspects of human life. Day by day she became aware about the conceptual & internal facts of a human’s life. She faces every danger to accomplish her task. As she was a solo woman traveler she witnessed some troublesome events which could be risky for her life but she didn’t loose the faith. Instead she became more determined & focused for her mission. Through several people & visiting religious places she became more devotional to Hinduism. There comes a turning point in her life where she feels India has been successful in making her understand the ultimate quest of human life & she feels that now it is the time to find her own truth. She drops her mission of finding her biological trantric father & decides to walk on the path of self realization. She chooses to find her Guru. This proves to be an another adventurous & interesting journey in her life that takes her to new places where she discovers new truths. She meets wise people who indicate her several hints & things about spirituality which makes her path , a source of inspiration for others. It is intensely interesting to discover that whether Maya meets her father or not. This is one of the most knowledgeable book I’ve ever come across. The author beautifully describes the journey of Maya. It depicts the spiritual pilgrimage in which she encounters several people like sadhus, saints, gurus etc, through them she gains an extreme knowledge about hindu mystics & wisdom. The author is successful in describing the entire travelogue of Maya & explaining each & every minute detail about hindu philosophies. Through this book , one can gain much knowledge about several holy & spiritual places in India & can learn about ethereal & immaterial aspects of life. The book also reveals some astonishing facts about hindu methodology. Life of a young pretty girl with different twist & turns portrayed by author is remarkable. The author’s way of explaining insight information is impressive & it also shows author’s in deep knowledge & research. It was a mesmerizing & a fascinating read for me. The life of Maya proves to be a great source of inspiration for me. Maya’s character was influencing & powerful. I loved the way her intuitiveness was her strength & she trusted it wholeheartedly. I was totally stunned that how she managed the things in an exceedingly extraordinary manner. The way how Maya goes through numerous obstacles in her journey but still she didn’t lose hope & continuously tried exploring the magical facts about hindu philosophies, was commendable & praiseworthy. I realized some of the mystical facts & spiritual realities of a human’s life. I learnt some of the amazing & breath-taking things about our country. This book was capable in holding my attention till the end. I liked the way how author presented huge & tremendous knowledge about spirituality in such an interesting manner. For me this book was a mixture of an immense knowledge and a medium of encouragement. “Blood rains & Other Stories” by Prathap Kamath is a book which reveals the peculiar & unusual aspects of life. As the blurb says it is a collection of 15 short stories which revolves around several mystifying & anomalous situations of a human’s life. The foremost story i.e. 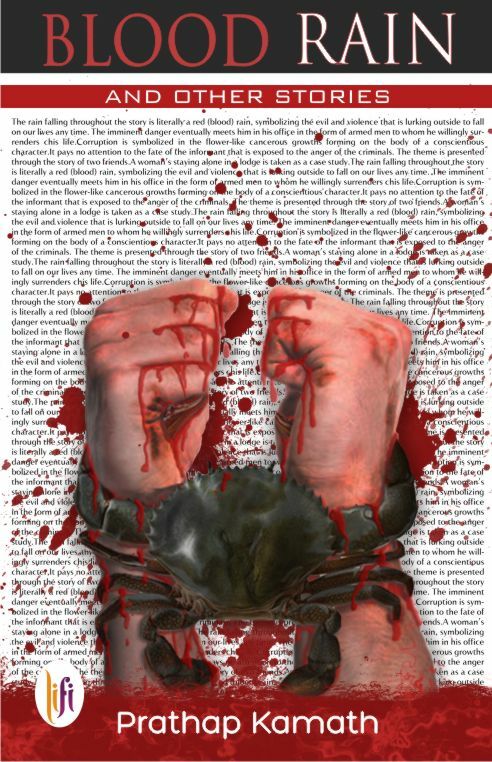 ‘Blood Rain’ is a story in which author talks about nature’s bleeding from man’s severe devastation through a story which is about a woman named hamy who is mistreated by her husband. How nature menstruates from man’s ravagement is depicted in the story! The second story i.e. ‘Jacoba Came to Conquer’ is a story about Jacoba & Amal. Jacoba was a prominent dutch admiral descendent who came to re-enact the ancestral battle in a very unlike way. It is interesting to know that how amal’s life was affected by it when Amal realizes that Jacoba Von Gues is not an ordinary tourist. The next story i.e. ‘Camus guest in kashmir’ deals with the visit of a soldier named Gopikumar. This visit eventually brings a huge transformation into the life of a poet named Jose. After receiving a letter from the soldier , Jose understands the philosophical dimensions of that letter & was distressed about his behavior towards the soldier. Later, the author describes about how that near stranger i.e. Gopikumar demands a remarkable favour from Jose. The next story i.e. ‘Flowers of Evil’ is a very unfamiliar story of a man named Raju who suffers from an incurable disease. Eventually he realizes that as the new flower bud grows on his leg ,some hazardous circumstances take place with the people around him. He couldn’t appreciate the mythological effectiveness of his flowers. The next story i.e. ‘Friends who met in the news jungle’ revolves around the lives of two best friends named Mahesh & Raghvan. After several years, Mahesh’s unexpected re-entry into Raghvan’s life change the course of the story. The author described about Raghvan’s reminiscences of their early days in college, while on the other hand Mahesh’s feelings were propelled only by the thoughts of his career. The next chapter of the book i.e. ‘Policing her’ is a story about a runner named Devika.P who becomes a victim of his coach Ramesh sir’s unethical behavior. The story then depicts how Devika P. goes through the brutal & harsh treatment of policemen. The policemen accused her of an immoral conduct towards his coach.It depicts that how a woman gets decieved by his own coach. The next chapter i.e. ‘The citizen of the world of objects’ is a story about a boy named Nithin who relates himself to machines & considers himself as a cyber organism. His parents realize that their ignorance towards their son had led to his escape. The next chapter i.e. ‘The Cricketers’ deals with the life of an ambitious cricketer named Neelan. 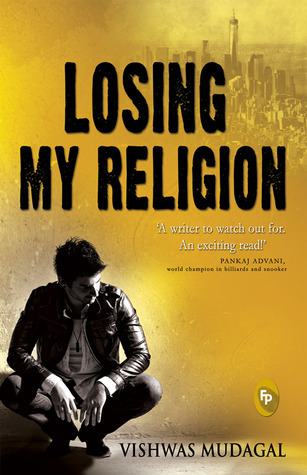 The author described how neelan’s father gets anxious & disturbed when a cricket match between Jamal & Neelan takes place. The match takes a very unexpected turn later. The next story i.e. ‘The Equestrian Interlude’ describes an incident which made the author realized his amazing equestrian skills. He meets a house lender named Mahalingam. They make a journey to Lesley’s bungalow which reveals some of the outlandish facts to author. The next chapter of the book i.e. ‘The Scream & the kangaroo’ that deals with a man named Mohan who dreams about Edvard munch’s painting ‘the scream’. He has a daughter named Divya who repeatedly insisted him to send the fees for her college. Eventually his realizes his failure & people around him seem like screaming figure of munch’s painting with void spaces in the eyes & gigantic mouths. The next story i.e. ‘The Seeds of Darkness’ presents the life of a boy named Gopu. His mother gets distressed & upset when Gopu shows a keen interest in the subject pertaining to a killer fruit ‘cerbra odollam’. Ultimately the story reveals that how her mom’s life gets affected by this fruit. The next chapter of the book i.e. ‘The Strike on the mind’deals with the life of a man named Jayadas who receives a frantic call from his wife related to the new of restricted movement in his colony. He gets worried for his son & hurries to pick him up from his stop. The next story of the book i.e. ‘Transmigration’ which represents the life of a woman named Anagha. The author described about how her life was entirely changed due to his dog who suffered from a deadly disease. The succeeding chapter i.e. ‘The Eyes’ which portrays the life of a man named David. The author discussed about his sentiments & affection for his mother, Martha. David remembers the days spent with his mother, & the author beautifully describes martha’s eyes. The concluding chapter of the book i.e. ‘When white roses first in the prison yard bloomed’ is a sensitive story about a man, Kabeer. He gets imprisoned but he was an ordinary prisoner as he was being kept there under judicial custody. Eventually , the white roses bloomed as an answer to Kabeer’s searching for what brought him here in the jail. The author brings in notice some of the severe & catastrophic situations in life. These situations are related to ferocity & aggression. Besides that some of tales are pertaining to apprehension, agitation, vengeance & revenge. The book basically reveals a plain-spoken fact that at the heart of all beauty lies something inhuman. The author narrated about the consequences because of these situations that totally depraved the lives of people. The cynical & pessimistic emotions are illustrated in the book. The people who are characterized in the book somewhere were also connected to love, tenderness & absolution. The author introduced some very peculiar & odd cases which are quite effective. He provided considerable empirical evidences to support his thoughts. While reading this book, I felt that this book is a constitutes non-typical stories which affected me. As the way how he draws the attention of his readers to the unfair side of life is exceptional. The helplessness of humans towards the strange sides of life is clearly mentioned in the book. I felt that this book at times put me into a shock & I was also astonished about the fact that life is not that easy. We need to go through each and every kind of state in our lives. It made me realize that darkness cannot drive out darkness, only light can do that. I liked the way how author has put-forward some of the sensitive issues of our society ,like immoral & unethical crimes against woman , which need to be dissipated soon from our society, in a very frank way. Because the results of it are regretful and can affect a woman’s life in an atrocious manner. This book is a combination of suspense, violence, corruption, revenge,selfishness. So if you are interested in reading a book full of riddles and thrillers this is the book for you. And on the other hand if you don’t have great interest in stories related to anxiety , fear, & suspense this ain’t the book for you.